First and foremost, I must apologize for the delay in this review. I have been very busy and almost forgot about how important music actually is to me. Enough of this mushy mumbo-jumbo. Ahh, Kylesa; one of the great Georgia swamp rock bands. 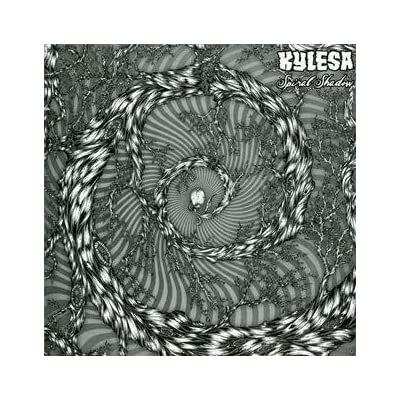 If you are not familiar with Kylesa, now is a good time. This band could possibly bring swamp rock/metal to the mainstream with track five, “Don’t Look Back”. Let’s hope not, we would not want all the little Disturbed and Shinedown fans getting their hands on a jewel like this! (I apologize if I insult any listeners of the above mentioned bands; this is only my opinion and hope to get a laugh out of it). I must emphasize the rock, this album is much more rock, progressive rock, than past releases. Do not take this negatively; this album is fantastic from the first note to the last. There are still many noticeable “metal” riffs and vocals. I personally love the intro song “Tired Climb” it is excellent all around. I also think everyone will love the dual drummers / percussionists (especially on “Drop Out”). This dual drumming makes for a tribal vibe for some of the songs. It will make the hair on the back of your neck stand. As I stated earlier, “Don’t Look Back” could be heard on public radio, it is a very main stream sounding song. Saying that, it is still one of my favorite songs on Spiral Shadow. When Reg and I first spoke about this album (many moons ago) I said, “This album is what Baroness’ Blue Record was to me last year.” Basically meaning that this is the greatest album I’ve heard from said band. Reg stuck with “Static Tensions” was still his personal favorite from Kylesa. After further listen to Spiral Shadow, I do completely agree with him. Spiral Shadow is still worth your ten to fifteen dollars, go get it! Spiral Shadow you get a 4.5 out of 5!